Dahlonega, GA—The University of North Georgia Press is pleased to announce the release of our latest open education resource: Brehe’s Grammar Anatomy by Dr. Steven Brehe, out December 31, 2018. Considered “a delight to read,” Brehe’s Grammar Anatomy makes grammar accessible, no matter who you are. This book provides a more in-depth look at beginner grammar terms and concepts, providing clear examples with limited technical jargon. 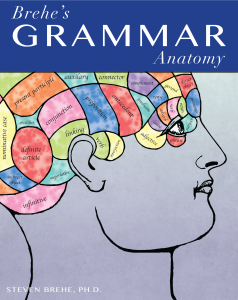 Whether for academic or personal use, Brehe’s Grammar Anatomy is the perfect addition to any resource library. Steven Brehe, Ph.D., is a professor of English at the University of North Georgia. He has been with UNG for over 20 years and has taught Standard English Grammar, History of the English Language, Composition, and Professional and Technical Writing. Dr. Brehe was a contributing author on Contribute a Verse: A Guide to First Year Composition from the UNG Press. He is a member of the Association of Teachers of Technical Writing. As the University Press Partner for Affordable Learning Georgia, UNG Press is publishing this textbook as one of six Open Education Resources releasing this year. As an Open Education Resource, this text is completely open access. It can be reused, remixed, and reedited freely without seeking permission. Brehe’s Grammar Anatomy (978-1-940771-49-6) releases April 30, 2018. Print copies can be bought through Ingram, Amazon, and other major retailers for $15.00. 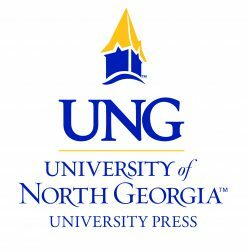 Free digital copies can be downloaded from the University of North Georgia Press homepage at www.ung.edu/university-press. The University of North Georgia Press is pleased to announce the release of our latest Open Education Resource: Brehe’s Grammar Anatomy, out December 31, 2018. We’re excited to reveal its amazing cover. This Open Education Resource is developed in conjunction with Affordable Learning Georgia and the University System of Georgia. It is free to use and adapt without needing permission. The University of North Georgia Press is pleased to announce the release of our latest Open Education Resource: Brehe’s Grammar Anatomy by Dr. Steven Brehe, out December 31, 2018. As the University Press Partner for Affordable Learning Georgia, UNG Press is publishing this textbook as one of six Open Education Resources releasing this year. As an Open Education Resource, this text is completely open access. It can be reused, remixed, and reedited freely without seeking permission. This post was edited to reflect the updated release date.